Can you give us your overall evaluation of the construction and real estate sector in Egypt? Over the last 3 years, the real estate sector and other investments have been really affected by the situation here in Egypt. We are hoping that now, after the elections for the new president and with the new parliament that will be in place a few months later, Egypt will have a stable political situation. We are expecting that in six months from now we shall start to see some improvement in terms of the security and economic situation in Egypt. I think that real estate investment represents a very important part of the country´s economic growth. We expect good growth for real estate for the following six months. Where do you see the current demand for real estate? The highest demand for the next five years will be for middle-income apartments. In previous years, there was a lot of demand for luxury apartments and there were not enough apartments available for the middle to low income population. I think that this will occur in Cairo particularly and I am also expecting to see growth in southern Egypt. Our new president has a program for the extension of the populated area of Egypt. Currently, 90 million Egyptians occupy only 5 to 7% of the whole land area of Egypt. We would like to see extensions over the territory according to a very strict, clear and studied program in order to extend the populated area of Egypt to at least 20% of the territory within approximately ten years. This will create new jobs and new investments for each governance. 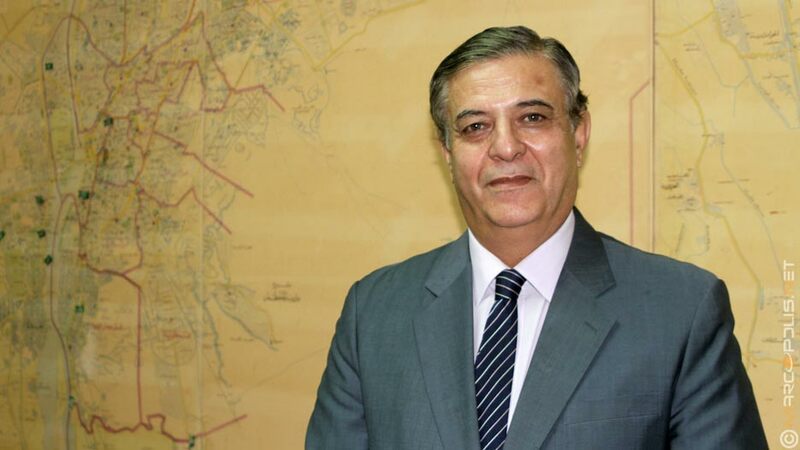 It is very important for Egypt to spread its occupied areas first to 20% and then even further in the future. The Saudi Egyptian Construction Company is considered one of the largest construction companies in the real estate market in Egypt. Can you tell us a bit more about SECON? How and when were you founded? The Saudi Egyptian Construction Company was established in 1975 by the Saudi and the Egyptian governments. It is split equally by both parties. The company was established for real estate investment in Egypt. Since 1975, we have been making excellent investments and we have been producing different kinds of apartments with the required standards for Egyptians and for Arabs. Since 2008, we have also been investing in tourism. We consider Egypt to be one of the most important investment countries in the world. We have tourism attractions that attract visitors from all around the globe. 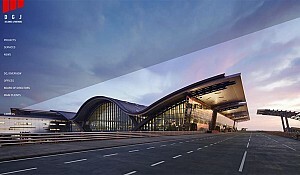 Both our real estate and our tourism investments are very important for us. Egypt is an excellent location for both areas of investment. We also feel that it is sensible to invest in different areas just in case one sector is affected by an economic situation. It is good to have another source of income in order to continue moving forward. We find that real estate investments are constantly experiencing fluctuations and so we went into tourism in order to make sure our investments overall are stable. 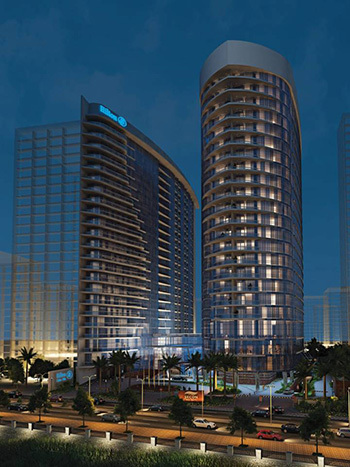 The Residential tower apartments in Secon Nile Towers are available for reservation. All information related to the project and SECON's contacts can be found on the project's site: http://www.seconniletowers.com/ where the e-brochure is available for download. We have started a very important project that is worth 1.6 billion Egyptian pounds. It is called Secon Nile Towers, and is comprised of two high-rise buildings of 23 floors. The Towers will be located in the Maadi Nile Corniche area of Cairo. The first tower will hold a five star hotel operated by Hilton. The hotel will have 256 keys. The second tower will hold 190 apartments. This project began almost a year ago with the construction of the five star hotel. This will be SECON’s first construction activity regarding tourism. The Residential tower apartments are available for reservation. All information related to the project and SECON's contacts can be found on the project's site: http://www.seconniletowers.com/ where the e-brochure is available for download. We are also looking in the future to invest in a tourism project in Marsa Alam. This will be our second tourism project in Egypt. We are planning to start our work in this area in the next 5 years. What are some of your landmark projects in terms of real estate and housing? Since 1975, we have constructed many different projects but I shall tell you about what we have done in the last five years. We have finished a compound in New Cairo that comprises 288 different villas. The investment for this was about 650 million Egyptian pounds. 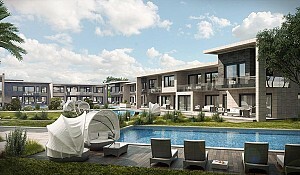 The project included town houses and big villas. This has been completed and is now occupied by the owners. We have also have completed another compound in the El Obour area which is one of the new cities that was programmed by our government in the last few years. This includes 900 apartments for middle-income families. The sizes of each apartment varies from 80m2 to 160m2. The owners are now starting to move into these new apartments. We are also developing projects in southern Egypt as the two governments that own SECON wanted to build units in this area. The south of Egypt is a very important region for us that we need to pay more attention to. Additionally in the last five years, we have finished another project for middle-income apartments in New Assiut area. This comprises four 11-storey buildings. Each building has 300 units. A couple of months ago, we started the second construction stage of this project. We are going to have an area of about 15 Feddans in New Assiut. This is going to be in our plans for the next three to five years. 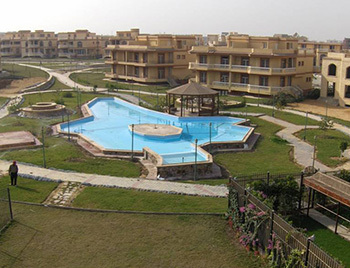 We have also finished a project next to the Cairo-Suez road, which comprises 15 buildings of middle-income apartments. The owners are now starting to move in to these apartments. All of our projects have finished on time and have been completed according to the licences issued for these constructions and the agreements with the customers. We have always followed regulations and complied with the agreements we have with our clients regarding quality, cost and deadlines. As you mentioned earlier, real estate is always exposed to fluctuations. What other challenges do you face on a daily basis as the CEO of the company? Real estate investment is an important part of the whole economic situation in Egypt. The real estate sector grows if the economic situation is good but is negatively affected if the economic situation is not stable. 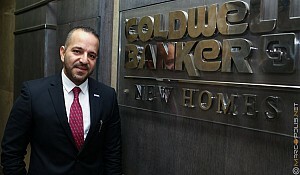 I consider the real estate sector as a very good indicator of any economy, in any country and particularly Egypt. Many Arabic people want to own an apartment in Egypt; the prices of apartments in Egypt are good and fair, which make it a very desirable location. Our new president plans to improve investment in Egypt, including real estate investment. 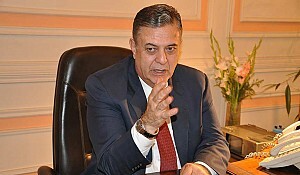 Additionally he plans to offer the facilities required by foreign investors in order to invest in Egypt. Therefore, we would like to see modifications of the rules for getting licenses and improvement of the investment conditions for both foreign investors and Egyptian investors. We hope that in the future with these new rules or modifications, investors will be encouraged to come and invest more in Egypt. This is one of the main proposals and intentions of the new president and government. Thus, we hope to have additional facilities for foreign and local investors that take into consideration both the government’s and the investor’s rights according to the agreements signed. It is very important to protect these agreements. We need investors who will not be the sole beneficiaries of their investment; we need investments that will also benefit the country and the government. We are looking for investors in real estate, industry, agriculture, and tourism. What is your vision for the company and for Egypt? I shall begin talking about my vision for the country, because if the country is in a good situation it will reflect upon my company. I hope that we have political and economic stability very soon and that we have security here. If we have this stability then we shall see growth in Egypt. I know that this will come gradually, it will not happen overnight. I wish to see this happening shortly. I think that the new president and the new government need about six months to rearrange and prepare the parliament in order to move forward. The new president has a lot of support from the Egyptians. This is a great advantage that no other president has had before. Most Egyptians support him a great deal and they feel that he is very honest and will do a lot to improve the situation in Egypt. The future requires a lot of effort from the president, the government and the Egyptian people in order to bring Egypt back to where it should be. Egypt has excellent resources; it has a great climate, history, beaches etc. With such a large population of 90 million, some would say this is a difficult challenge but I disagree and think that our large population is our advantage if we take into account that 40% of those 90 million are the younger generation, who have lots of energy and are ready to work hard for the country. You have the right ingredients for success. Yes. I believe in my country and in its resources. We need good management. If you have good resources and no management, you will go nowhere. We have resources that many other countries do not have. We now need the right management for these resources to make the best use of them. 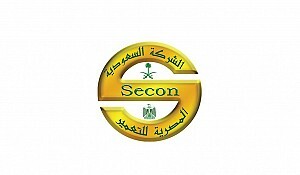 I would like to say that SECON is owned 50% by the Saudi government and 50% by the Egyptian government. It is and will continue to be a very good example of cooperation between these two governments and of cooperation between two Arab countries. The continuous support and help from Saudi Arabia to Egypt especially in certain times has been fantastic. After the elections for the new president, King Abdullah made a speech of support for our new president. We are happy that our company is owned by these two governments. I can tell you that in the near future we are going to increase our capital, which will be split equally by both governments. I think that SECON is an excellent example of joint work between the Egyptian government and other governments, in this case the Saudi government.